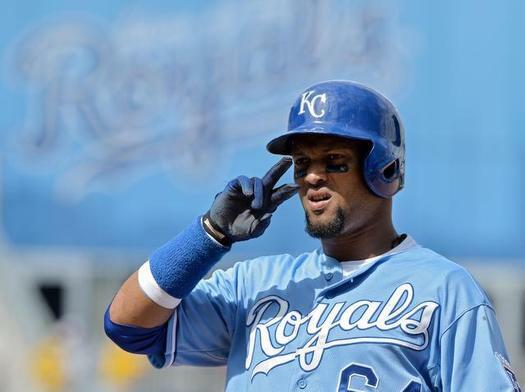 Originally I was going to just discuss the Dayton Moore ‘State of the Royals’ press conference from today, but with the news of Emilio Bonifacio being put on release waivers I felt like I should cover that as well. So look for the Dayton article later. First off is Bonifacio. As most know, he was designated for assignment 10 days ago, which gave the Royals ten days to find a suitable trade partner. I know I was personally upset that the team was getting rid of Boni, as he was a great addition by Dayton Moore late in 2013 and had solidified the second base job. I felt even back when Kansas City acquired him that Emilio would be a great super-sub, someone who could play about any position on the field and get 3-4 starts a week. He also gave the team great depth in case they lost somebody to a major injury, which was another plus to having him on the roster. A major weakness for the team over the last few years has been the lack of depth, which luckily hasn’t majorly affected them as the Royals haven’t been hit with any major injuries during that time. So in other words, I felt like the team was weakened by getting rid of Bonifacio. 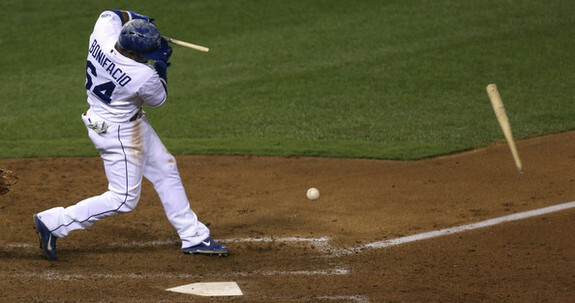 But I had also heard rumblings that he didn’t want to be a backup and that was even a big part of why Toronto had dealt him to the Royals in the first place. As if that wasn’t enough, getting rid of Bonifacio also seemed to be a money move by the Royals, as they had just added Bruce Chen(who had just signed a one year, $3.25 million dollar deal) to the roster. 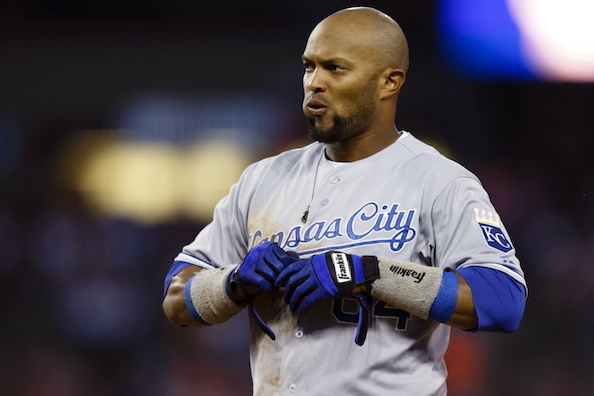 Chen and Bonifacio make about the same amount, so it seems Kansas City has hit their ceiling when it comes to payroll. It’s sad that as little as a shade over $3 million is just too much for this team, especially when they are thisclose to being serious contenders in the American League Central. So it was already upsetting to know the Royals were losing Emilio. To then find out today that they weren’t even able to get anything in return was even more upsetting. I mean, they should have been able to get something, even if it was just a minor leaguer. But it got worse. 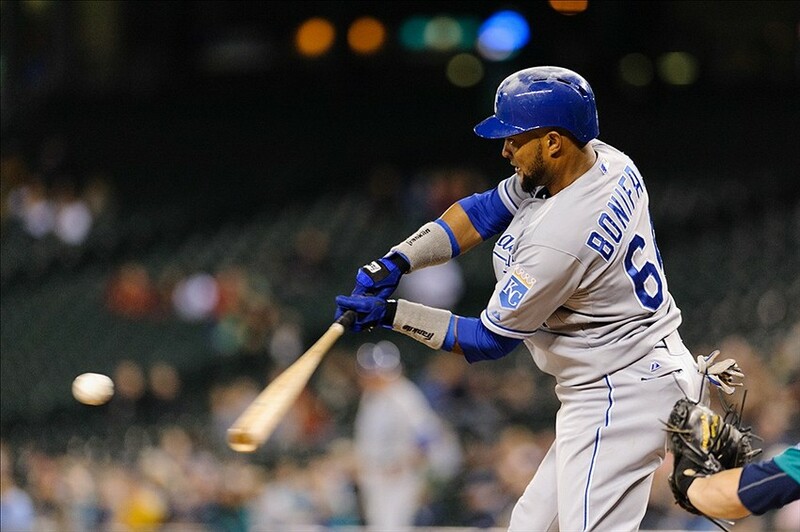 Little bit surprised Bonifacio wasn't traded, but I did hear #Royals asking price on him was pretty high. Look, I am the first person who will tell you I feel like the Royals should not make a deal unless they are getting real value back in return. I’ve felt that for a long time the Royals weren’t always good about doing that. But if you are going to designate someone for assignment(especially someone like Bonifacio who has real value) then you need to get something(anything) in return. At this point, we can only hope there is a team(Baltimore?) that is willing to claim him off waivers, as that would save the Royals having to pay any of his salary this year. If he isn’t claimed, the Royals will have to pay $600,000 and he would then become a free agent. I think to me the worse thing here is the Royals got nothing for him. To me, it felt weird they would DFA him when they did. His value would have been much higher if they had waited until Spring Training had started. All it would have taken is for someone to get hurt or someone not playing up to expectations and the Royals could have traded Bonifacio to that team in need. In other words, his value would have greater than to wait until a week or so before Spring Training starts and most teams have already completed additions to their roster. Now we just have two days to wait and see what happens, although I tend to think he will be claimed. If he does, that is the best scenario for the Royals. If not, it is a wasted opportunity. Small market baseball teams can’t waste opportunities. Yes, it is a small deal. But a small deal can point out a bigger problem.